User experience is the biggest and most important factor in determining the success of Citrix rollout in an organization. When end-users are happy with their virtualized applications and desktops, then everything is hunky dory and Citrix admins can focus on operations and maintenance. But when users are impacted due to, say, slow logons, session disconnects, slow screen refresh, etc., then as Citrix admins, you’d need to spend time troubleshooting the problem that is affecting user session access. 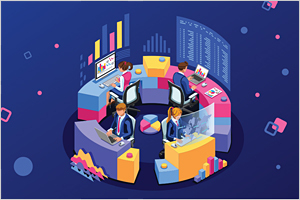 To be able to triage issues faster, you need to have full visibility of every user connected to the Citrix site, performance of every session, and track critical user experience KPIs. 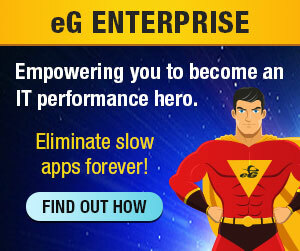 eG Enterprise makes this easier using its pre-built Citrix user experience monitoring dashboard. Citrix admins can easily search for a specific user and open up their real-time user experience metrics for problem diagnosis. These dashboards are also used by helpdesk agents to check and verify the problem the user is complaining about before routing it to the Citrix administration team. Simplify Citrix user experience monitoring with eG Enterprise and be the first to know when your end-users are facing Citrix issues.